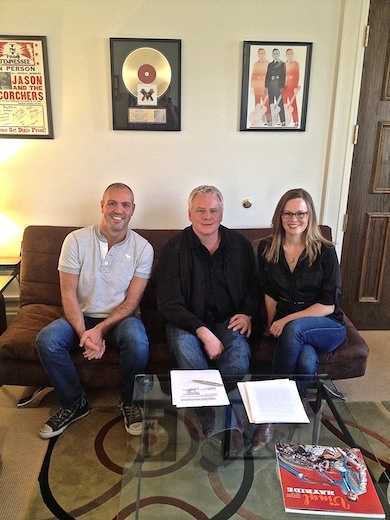 Hit singer-songwriter and producer Jimmy Ritchey recently signed an exclusive agreement with BMG Chrysalis. Ritchey co-wrote Jake Owen‘s No. 1 hit, “The One That Got Away,” with Owen and Dallas Davidson. Ritchey’s producer credits include newcomer Greg Bates, Owen, Clay Walker and Mark Chesnutt. Additional writing credits for Ritchey include “Startin’ With Me” and “Don’t Think I Can’t Love You,” both hits recorded by Owen, and “I Gotta Get To You,” which was a hit for George Strait.